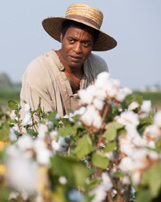 Review: 12 Years a Slave / It's Just Movies Review: "12 Years a Slave"
This year already has delivered several Oscar nominee-type films — including “Fruitvale Station,” “Gravity,” “Prisoners” and “Captain Phillips” — but Steve McQueen’s “12 Years a Slave” has moved right to the top of the list. In my opinion, “12 Years a Slave” is easily the best film of the year. Everyone young or old will have a connection to this movie. “12 Years a Slave” has been received very well at every film festival where it has premiered and, naturally, when it opened at the San Diego Film Festival I knew I could not miss this film. “12 Years a Slave” is a fictionalized adaptation of the 1853 autobiography by the same name, written by Solomon Northup. Solomon was a free black man in the North who was tricked and kidnapped in 1841 and sold into slavery. Solomon worked on plantations in Louisiana for 12 years before he was finally released. There are very few films that are flawless and “12 Years a Slave” is one of those films. It hits on all cylinders and I was extremely impressed with the cast and the visuals. Based on the nature of this film, it must have not been easy for actors to accept roles in this film, but you could not have asked for a better cast. The role of Solomon was played by Chiwetel Ejiofor and his portrayal is Oscar worthy because he makes it very easy for us to imagine the pain and suffering Solomon went through. Ejiofor does such an amazing job with his body language that if this was a silent film you could still feel the pain of Solomon. In the part of the hated slave owner Edwin Epps, Michael Fassbender gives the best performance by an actor this year. You really get a sense of how hated he was (and still is) in the South. Fassbender should be a frontrunner for an Oscar nod because this was a difficult role to play, but he could have not played it any better. Epps’ wife is played by “American Horror Story” star Sarah Paulson, who brings the same strong acting skills from AHS to deliver a chilling performance as Mary Epps, who is just as bad if not worse than her husband Edwin. The film also stars Paul Giamatti, Brad Pitt, Benedict Cumberbatch, Paul Dano and Lupita Nyong’o and all did a tremendous job. This film is very graphic and, at times, is very hard to watch. If ripped skin and oozing blood gets you uncomfortable, then this movie will not be something you will enjoy. In his book, Solomon writes about the horrible beatings he witnessed and those that were inflicted on him. Those beatings were very graphic and will stir a reaction out of you. “12 Years a Slave” is an important film because it brings to life the story of Solomon Northup in a great cinematic representation. This is now No. 1 on my top 10 list for 2013 and among my Top 15 films all time. “12 Years a Slave” will released nationwide on Nov. 1. Follow James Shaw on Twitter at http://twitter.com/bigge3021.